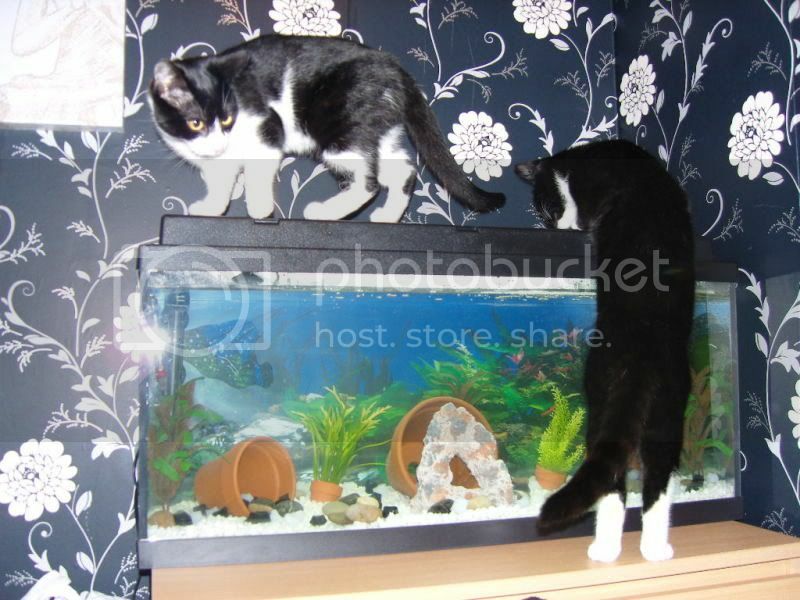 Paw Talk - Pet Forums > Other Pets > Reptile & Amphibian Discussion > -Photos- Screen for this tank? Okay, a few may know that im looking for a crestie or a pair, and well i have this tank i don't know how many gal's but you can maybe tell by the picture. But i need to know how to make a screen or door for when i turn it on its side for a crestie setup. Does anyone have any ideas? or should i just go buy a new setup? that won't need any work? I didn't make mine (although I know plenty of people do), I just bought one of the sliding door kinds. Those aren't sold in your pet store? They're usually intended specifically for reptiles. My father and I made a cover for my 40 gallon by building a wooden frame that went around the tank. We used premade decroative wall mouldings to make the doors by glueing screen into it and attaching hinges. LOL, I just told you how I would do it in the chat box.... Go look there, cause I dont feel like typing it again! Let me know how it goes... I need to make one too but I havent tried it yet! Has anyone got any links to screen doors i can buy online even? to save any bother?